Mary is a Licensed Professional Counselor (LPC) and a Licensed Clinical Addictions Specialist (LCAS) in the state of North Carolina. She has been serving youth, adolescents and their families since 1999. Mary has reached Dissertation Candidacy as a doctoral student in Psychology and spends much of her time researching and writing about relationship dynamics. 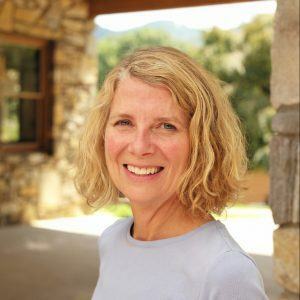 After receiving her MA in Counseling Psychology from Pacifica Graduate Institute in 2006, Mary worked as a therapist in wilderness programs serving adolescent girls and their families with co-occurring mental health and substance use disorders. Prior to working in a wilderness setting, Mary worked with special needs youth, adolescents, and their families as an instructor in therapeutic equine programming. Mary’s clinical training is grounded in Depth Psychology and psychoanalytic theory. Relational, Narrative, and Motivational Enhancement Therapies are strengths based and solutions focused clinical approaches Mary uses to establish rapport and join with students and their families in the therapeutic process. Interpersonal interactions and relationship pattern recognition is an area of focus when Mary works with students and their families. Dialectical Behavioral Therapy (DBT) skills and Trauma Resiliency Model (TRM) training provides a framework for helping students better manage and regulate emotions, impulse control and distress tolerance. Mary has completed the TRM Level I & II training and is completing her Train the Trainer certification in the Community Resiliency Model (CRM). She has also completed the fundamentals and intensive training levels in the Natural Lifemanship TF-EAP Equine Therapy Model and will begin the certification process in June 2016. Time with the horses and other animals is the perfect backdrop for exploring self-defeating relationship patterns that can often lead to the awareness and insight needed to shift limiting interpersonal patterns to a healthier relationship with self and others. Mary enjoys time at home and outdoors with her dog, cat and horse, running, reading and gardening.